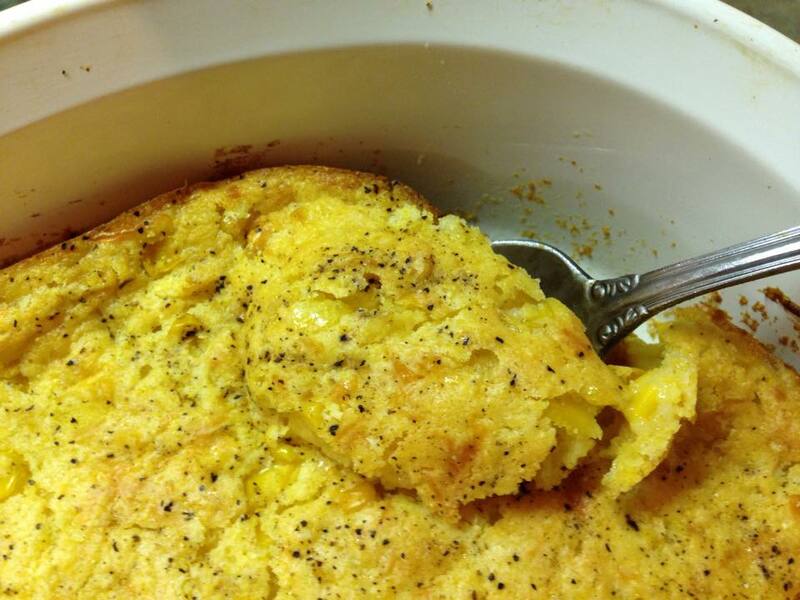 A favorite main course of ours is the JIFFY CORN CASSEROLE RECIPE courtesy of Recipe Lion . So quick, easy and delicious –my family loves it! Tip:: I sometimes use a pound of ground beef with this and dice a sweet onion in with the ground beef while frying. Just drain and add to the main mixture. We also love this in a 9 x 13 glass baking dish best. Best baking time for the bigger dish is about 45/50 minutes. Be sure to let stand about 15 min after taking out of the oven. Top with more cheese if desired. I MAKE IT OFTEN.I HAVE NEVER SERVED IT TO ANYONE WHO DIDN’T LOVE IT AND WANT THE RECIPIE. JUST PUT A DOUB;E RECIPE IN MY OVEN NOW.HAVING MY KIDS FOR DINNER ,THAT WILL BE GLAD WHEN THAT SEE THIS COME OUT OF THE OVEN. MY LITTLE SISTER GOT ME HOOKED ON THIS RECIPIE 20 YRS AGO. ENJOY.